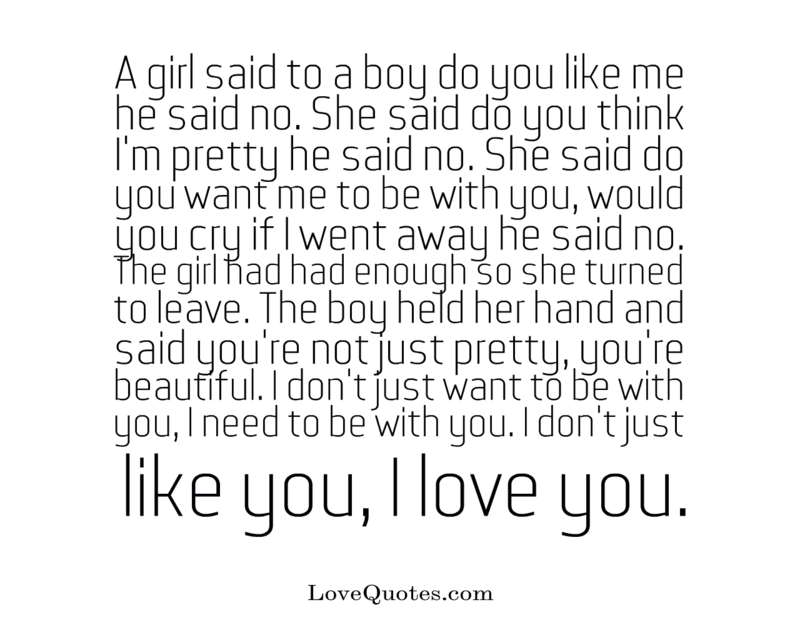 A girl said to a boy do you like me he said no. She said do you think I'm pretty he said no. She said do you want me to be with you, would you cry if I went away he said no. The girl had had enough so she turned to leave. The boy held her hand and said you're not just pretty, you're beautiful. I don't just want to be with you, I need to be with you. I don't just like you, I love you.